You're probably aware of the fact that the video phone is my favorite gadget. 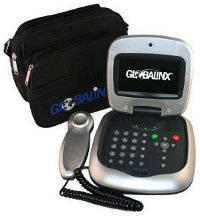 It's truly a superior and less expensive telephone system, hence as I travel around, I never leave it behind. It helps me save money and connect with family and friends like never before. With the video phone, I don't only talk - I see the person I'm talking to, without the old-school hassle of hooking up computers, webcams and headphones. I've enjoyed video phone communication for almost 2 years now and won't be giving it up anytime soon. Today, you can have yours by taking advantage of the best video phone offer. It has come to my notice that for just $99.95, you can own a 8831b video phone. You'll also get a black case with a zipper to protect your device. This is an unbeatable deal! It's the best video phone offer ever! I got mine for $299 and a case was not included. Here is the deal - the equipment now costs $99.95 and the activation fee is $44.95. With UPS shipping, 1 month bill and all the tax included, be ready to pay only $221.65. I arrived Sweden today for the Easter holidays and guess what - my video phone is here with me, so I can make and receive calls as usual. No extra charges, irrespective of location. That's the power of this technology. Later tonight, I'll call my sister at blogFace2Face on the video phone. She lives in the U.S. but if you ask me - she's just a video phone call away. 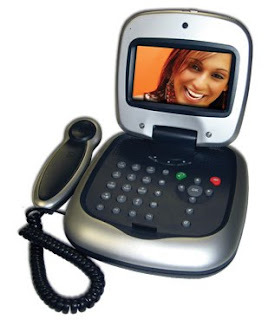 Looking forward to the day when everyone will own a video phone. It's inevitable! I'd be glad to dial a phone number and have you show up on the other side of the screen. Exciting! To place an order for your video phone(s), click here or drop a comment. I'd love to help you. The offer is good until April 15, 2010.